With all the advantages of our saloon vehicles, our estate’s have an increased boot capacity to accommodate that extra bit of luggage without compromising on comfort. if you’re going on a family holiday or traveling with a group of friends our minibus is the perfect choice. Our minibus vehicles can carry up to 8 passengers and a generous amount of luggage. 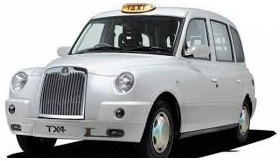 The London Cab is the perfect choice if you want to be driven in comfort with the connivance. A versatile vehicle with wheelchair access, buggies and 5 passenger option. London cabs are always a great choice. if you’re require a Tail lift minibus for a local of long hall transfer A2B Euro Cars can accommodate all your requirements. 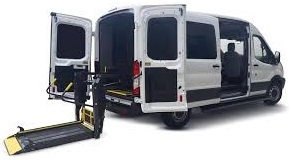 Our minibus vehicles can carry up to 8 passengers and a generous amount of luggage but please consider 1 wheel chair = 1.5 person.